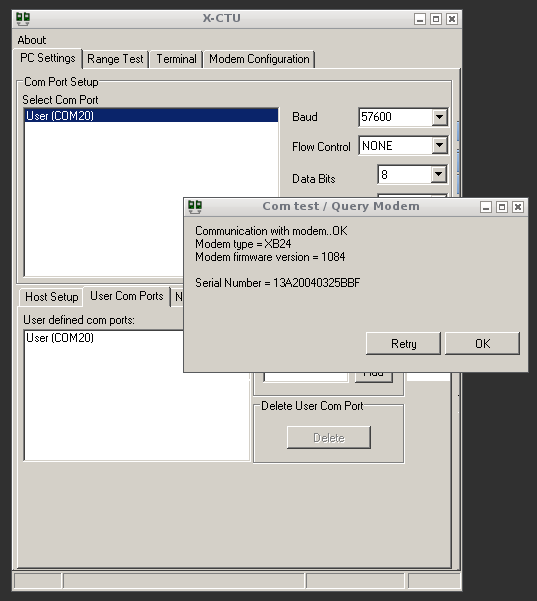 Digi's X-CTU application is for configuring and testing Xbee modems. It works great but is windows only. While rebooting into windows just to configure an xbee was a pain it worked. But this is no longer an option now that I no longer keep a windows installation on my machine. I needed a solution! Using wine I was easily able to use X-CTU's window installer and run the application. Only one problem... I received a nice little a program error when attempting to add my USB device as a com port. com20 is what the cool kids use. If you want to use something else go ahead and be lame. 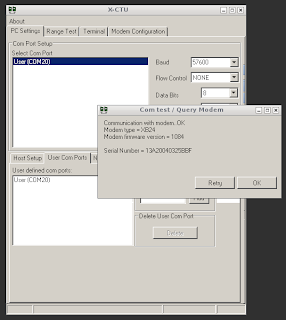 Now when I try to add com port "com20" and query the modem... it works! Great... now get back to doing stuffs.